Happy Sunday! I love a backroad and when I have the time, I usually prefer to take the unbeaten path. Sometimes the road takes me somewhere new and unfamiliar. Our choices in life are often compared to roads we are on. One decision leads us down a certain path and another option takes us somewhere else. 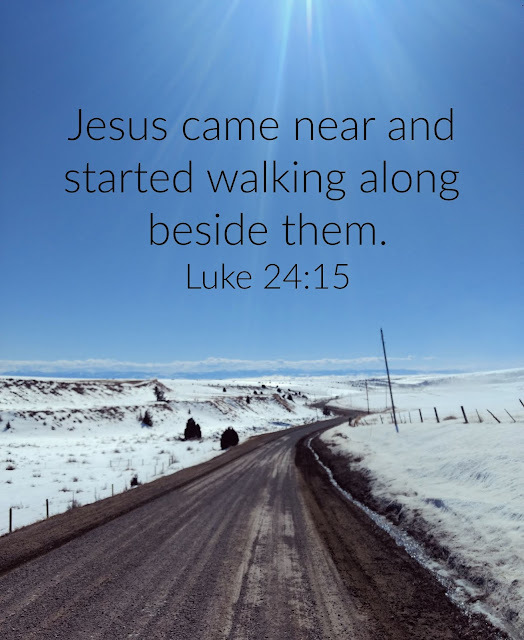 Whatever road we are on, Jesus walks beside us, whether we recognize it or not. Like the disciples walking on the road to Damascus, when we do realize Jesus is with on the road, when we encounter him, we are changed. Know this, no matter what path you are walking, God is with you and he longs for you to see him, to walk arm in arm with him, to lead you down new ways. YES, and longs to spend time with us!